His life changed our World. The experience could change yours. The American Passion Play has faced significant challenges throughout its history, but now faces its most difficult challenge ever. 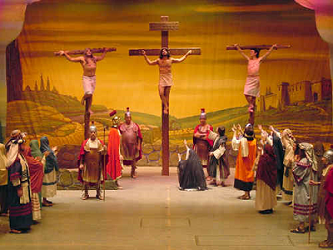 Changing demographics and economic conditions have contributed to the financial distress of The American Passion Play. We need your help to continue this historic production into the future. Please give generously to the American Passion Play GoFundMe Campaign and support our important effort to spread the word of Jesus' teaching to thousands of people every year.